Today Dangerbird Records announced Magnetic Bodies/Maps Of Bones, the fifth album from Milwaukee’s Maritime. 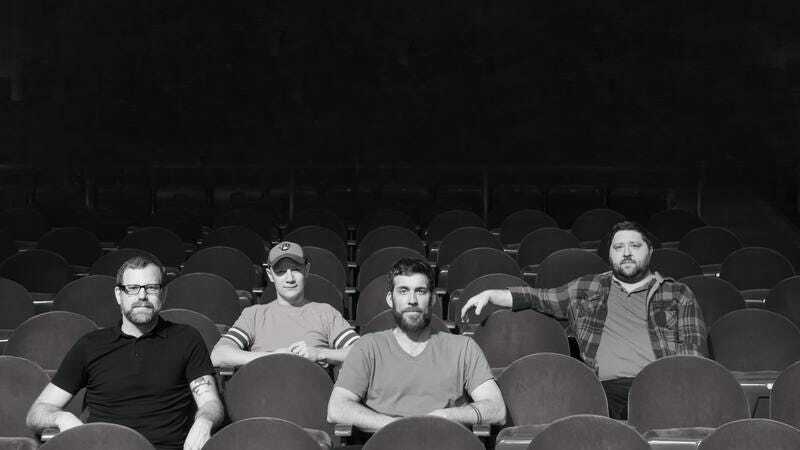 It’s been four years since the band’s last release, Human Hearts, and on its new single “Satellite Love” it’s evident that all that time off didn’t diminish the band’s ability to write an earworm. Dangerbird Records will release Magnetic Bodies/Maps Of Bones on October 16, but for those looking for an inside look at the album’s creation, The A.V. Club is premiering the video for “Satellite Love” below. The video offers a peak at Maritime in the studio, where fans can watch the band record all those infectious handclaps. Pre-orders for Magnetic Bodies/Maps Of Bones are available now, both on iTunes and through Dangerbird’s store.